Roseanne Barr Comes Back to Television!!! 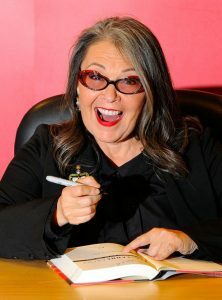 Roseanne Barr, the star of the 1990’s hit tv sitcom ‘Roseanne’, has just set up a project with 20th Century Fox to star in a new tv series called ‘Downwardly Mobile’. She has been working on this project with her long term boyfriend Johnny Argent. The show supposedly will draw from similar themes from her previous show ‘Roseanne’. I’ll give more updates as they are available. Roseanne Barr Inks New Deal with NBC To Develop and Star in New Series!!! Roseanne Barr’s New TV Series ‘Downwardly Mobile’ Gets Picked Up At NBC!!! This entry was posted on Wednesday, August 10th, 2011 at 9:24 pm	and is filed under Film, News. You can follow any responses to this entry through the RSS 2.0 feed. You can skip to the end and leave a response. Pinging is currently not allowed. « Behold!!!! The ‘Harold and Kumar Christmas’ Trailer is Up and AWESOME!! !